offers a vision of Orthodox Judaism that is intellectually sound, spiritually compelling, and emotionally satisfying. Based on an unwavering commitment to the Torah tradition and to the Jewish people, it fosters an appreciation of legitimate diversity within Orthodoxy. It encourages responsible discussion of issues in Jewish law, philosophy, religious worldview, and communal policy. It sees Judaism as a world religion with a profound message for Jews, and for non-Jews as well. It seeks to apply the ancient wisdom of Judaism to the challenges of contemporary society. The Institute for Jewish Ideas and Ideals was founded in October 2007 by Rabbi Dr. Marc D. Angel. Since 1969, Rabbi Angel has served Congregation Shearith Israel, the historic Spanish and Portuguese Synagogue of New York City, founded in 1654. He is now devoting himself full time to the work of the Institute, serving as its Director. This week, Rabbi Angel - a prolific and award-winning author - turns his attention to the senior Jews, elderly Jews, and the old and getting older Jews in our communities. In his article, How Old Are You? How Are You Old?, Rabbi Angel looks into the story of the later years of Abraham and Sarah. 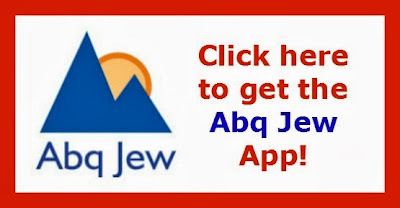 Note: for your convenience, Abq Jew has reprinted the entire article below. But you are strongly encouraged to visit the Institute's website - http://www.jewishideas.org - to learn more about the Institute's work, and especially to read and view Rabbi Angel's thoughts and opinions. While “ba bayamim” may simply be an idiomatic expression for emphasizing elderliness, it might also be alluding to something else, something far more important. Scientists who have studied the aging process have found that human aging can be evaluated in different ways. The chronological age records the number of years of a person’s life. That is an objective fact. However, there are other measures of aging as well; and these measures vary from person to person and are not entirely correlated to chronological age. Physiological age refers to one’s physical health and physical condition. There are people who may be young chronologically but whose bodies are already “old.” A person aged 40 may have the physical features of a person aged 80. They are in poor health. Their muscles are flabby. Their body signs indicate physical deterioration. Others, though,may be chronologically old but are in terrific shape; their muscles are well-toned; their body signs are much “younger” than their chronological age. They may be 80 chronologically, but their bodies have the vitality and strength of someone much younger. Another measure of the aging process relates to emotional/psychological age. Some people are chronologically young but their minds are tired and depressed. They plod through life unenthusiastically and mechanically, lacking energy and direction. Others, though, may be chronologically old but they are emotionally and psychologically quite young. They live with energy and purpose; they have intellectual curiosity; they yearn to grow in learning and experience. They may look “old” on the outside; but inside they are brimming with vitality. When Abraham and Sarah are described as zaken/zekeinim, this refers to their chronological ages. But when the Torah adds the words “ba bayamim/ba’im bayamim” it may be teaching us that Abraham and Sarah were living actively, making every day count. They were physiologically, emotionally and psychologically much younger than their chronological ages. They did not live passive lives waiting for their days to pass. Rather, they “came in days,” i.e. they actively greeted each day, they were ready for new challenges and new adventures. This interpretation is borne out by the Torah narratives themselves. Right after Abraham and Sarah are described as being old and ba’im bayamim, the Torah informs us that Abraham aged 100 and Sarah aged 90 are going to have a baby! As old as they were chronologically, they were ready to start a new phase in life with the energy and enthusiasm of a young couple awaiting their first child. When the Torah tells us that Abraham was old and “ba bayamim,” he was busy making plans to marry off his son, Isaac. Abraham was at least 137 years old then—but was very much alive, very much involved in the doings of his family and his society. Although the chronological aging process is automatic and beyond human control, the physiological, emotional and psychological aging processes can be influenced by human intervention. Humans can lower their physiological ages by exercising, staying fit, eating healthfully. Humans can lower their psychological/emotional ages by keeping alert mentally, by continuing to learn, by keeping focused on new goals to accomplish. Abraham and Sarah “came in days”—they dealt with each day actively and purposefully. This is an important lesson for all human beings to learn. It’s not just a question of how old you are, but of how you are old! Since you've asked ... here is the song of that name, beautifully sung by the youngster Shawn Colvin (57) and the forever young songwriter Judy Collins (74). And as for Mr & Mrs Abq Jew ... don't ask. Jewish Academy Says "Hey, Mozart!"